Blue and Intricately carved houses of Jodhpur, have well maintained thermal ambience and well organized spaces. 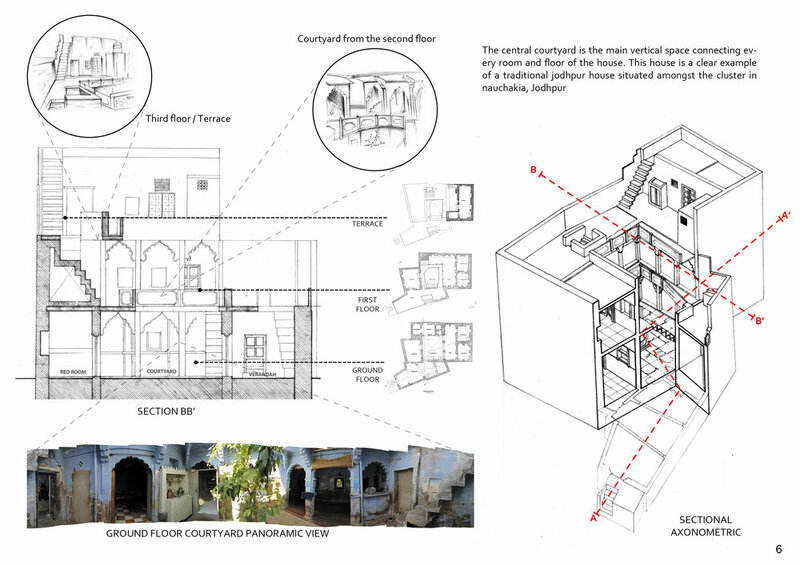 One such house was studied and measure drawn by a group of 4 students. This was a part of the study tour to Jodhpur( a desert region) which was organized to research and study the houses on site. This was part of an exhibition at Balwant Sheth School of Architecture. All sketches are drawn individually. MY ROLE | Part of Research and Measure Drawing of the full house.